Even is the skin cleansing product able to increase cellular turnover, making it similar to the one of younger skin types. 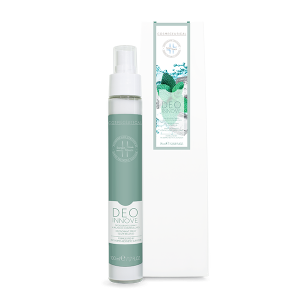 The combination and high concentration of 3 acids – glycolic, malic and mandelic acid- and natural microspheres, guarantee the removal of dead cells, making the skin glow and naturally hydrated. Vitamin C antioxidant action reach the dermis more easily thanks to the exfoliation action of the acids. It cleans deeply, leaving the skin silky and smooth. Apply the product and massage it with circular movements. For a smoother effect, leave it on for some minutes. Rinse with warm water. For an excellent action, combine Even and Body Genius. Warnings: the product contains AHA, avoid contact with eyes and sun exposure ; keep out of reach of children. A slight tingle, connected with the activity of the product, can be felt during the use, should it not disappear shortly, stop the application of the product. AHAs and apricot kernel powder can cause variations in color and/or smell, these variations do not change the product effectiveness. Shake well before using, as the product tends to sediment while storage. 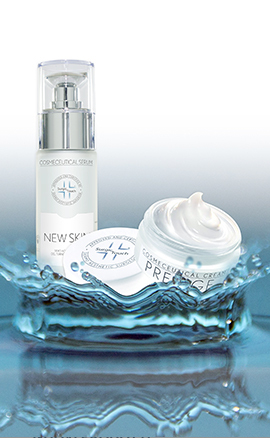 GLYCOLIC ACID it is the smallest of the AHA. It has natural origins, such as fruit, beet and sugar cane. Its low molecular weight allows an easy absorption by the stratum corneum. The superficial epidermis exfoliation and consequently the increase of the cellular turnover leads to an increase in the action of fibroblasts, therefore increasing collagen and elastin production. MALIC ACID excellent keratolytic action. Its acantholytic action decreases corneocyte adhesion and the thickness of the stratum corneum, easing the quick removal of the dark corneocytes, thus exerting its whitening and brightening action. In case of acne, it penetrates into the follicle, where it exercises its bacteriostatic and comedolytic action, helping the drainage of cysts and microcysts. Used in the development of whitening, anti-spot products, to treat melasma and discolors. 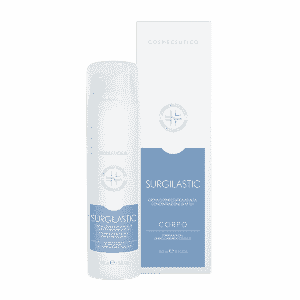 Used in anti-acne and anti-age products to treat impure, thick and asphyxiated skins. MANDELIC ACID it has many cosmetic features. It helps improving acne, skin discoloration due to photo-aging. It has a firming, detox and anti-age action. APRICOT KERNEL POWDER: it is obtained through the grinding of apricot kernel. It is used for scrub and peeling products, due to its mechanical exfoliation activity on the skin.